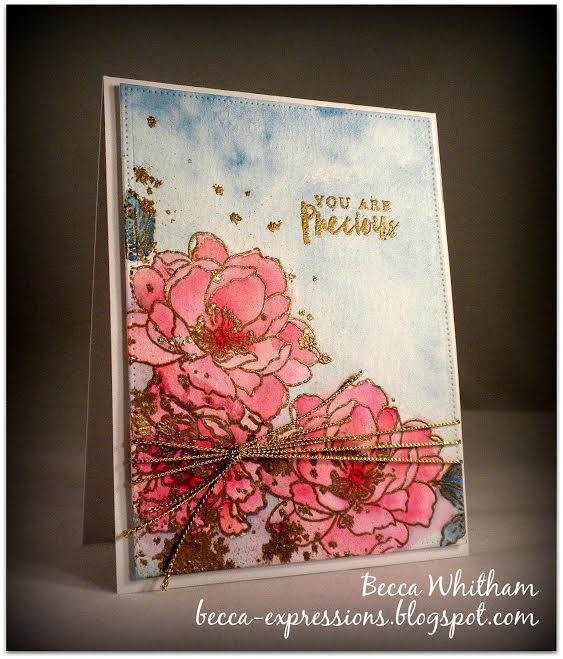 This week, Color My Heart's challenge uses the colors from the "Hello Lovely" paper pack by CTMH. Heart2Heart featured the same paper a couple weeks ago, so I'm entering this card in both. This was really easy to do. I cut the floral overlay from Artfully Sent Cricut cartridge, laid it on my card base at a wonky angle, turned the card over and drew pencil lines along the back where the overlay hung over the edge of the card base, and cut it to size. I then backed it with Hello Lovely paper and glued the whole thing to my card base. I attached a Blush Shimmer Ribbon bow, and DONE! One of the great things in Design Space is the "Set Canvas" feature. I set my canvas as a card, then stretched and tilted my overlay until I liked the amount of space it took up on the card. The overlay piece ended up being 6.29H x 4.19W. The only other trick I used was to "Ungroup" the overlay image (the original image comes with two layers, the floral and a solid backing) and delete the solid piece. You could cut your background (in this case, the Hello Lovely paper) using the Cricut, but that wastes too much paper for me. I'm okay with wasting the white paper (floral overlay), but I'm hoarding the Hello Lovely paper. I really love this card. I have a feeling it will be mass produced as it can be used for just about any occasion...as long as it's going to a woman. Somehow, I don't think a man would be quite as in love with this. LOL! Some people are worth buying a whole stamp set for. My sister-in-law is one of them. She's undergoing treatment for cancer, so I've been sending a card here and there to cheer her along. I purchased "Recipe for Happiness" from MFT specifically so I could combine it with "The Whole Herd" (which I already had) to make this card. The sentiment from MFT's "Recipe for Happiness" actually says, "You're Souper Cool." I stamped "Get Well Soon" from Stampin' Up in black, used my MISTI to place the "Souper", masked off the side words, inked in Cranberry (CTMH) to match the scalloped border, and stamped. The yellow background paper is also from CTMH in Sunny Yellow (long retired, so I'll be tagging the lovely Karen Day because she and I have this thing going about using up old CTMH paper). The stitched die cuts are all MFT, as are the coordinating dies for the two stamp sets used. I trimmed down the soup pot because my Copic coloring bled outside the lines. I'm guessing this will put a smile on my SIL's face, which was the whole point...and is worth every penny! Several months ago, I got one of those emails that brings a tear to your eye and terror to your heart. 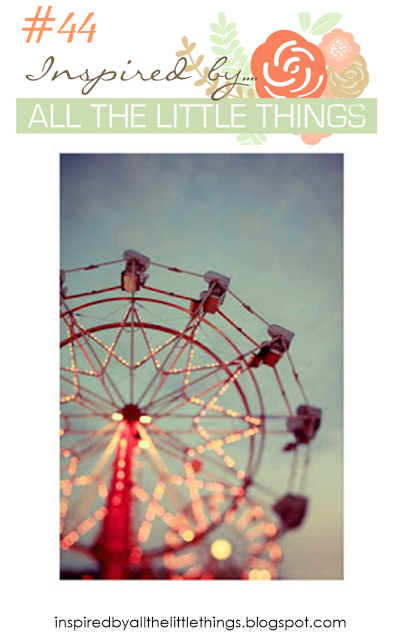 Karen from "Inspired By All the Little Things" asked me to be a guest designer. After I'd calmed down--and it took a few months--I was sent a number of inspiration photos and asked to choose one. I then did something even scarier. I chose the one photo I had NO IDEA what to do with. And then, as though the paper crafting gods knew I needed help, an idea sprang into my mind. First came the color scheme plus the gold lights=watercoloring with gold embossed images. Second, I decided to do a large and small image the same=this turned into two large flowers from Altenew's Beautiful Day plus one small image from their Remember This. Third, I wanted to create a blurred effect near the bottom of the image=my attempt to heat emboss until the gold lines blurred failed, so I splattered water with a paint brush, poured embossing powder over the top, gently shook off most of the excess, and heat set it from the underside. I ended up doing this splatter, pour, and heat set process twice to get enough blur along the bottom with a few straggling blots around the rest of the image. I then added the sentiment, also from Altenew's Remember This set, using the more normal method of stamping with Versamark ink and using gold embossing powder over the top. The final step was to run the image through an MFT dotted die cut frame, wrap gold twine around the panel, and mount it to a card base with foam tape. I'm actually thrilled with how this came out. Thank you, paper crafting gods! And thank you to Karen Day and the rest of the Inspired By ladies for allowing me to stretch my creativity as a guest designer. I hope I lived up to the challenge! The chef and sentiment are from MFT, the background words are from an old--and I do mean old--CTMH stamp, and the paper is current CTMH called Sugar Rush. Now, the person who is getting this card may not catch the special meaning of using sugar paper on a baking card, but I'll know...and so will you. I used MFT's Blueprints #15 to cut the Pomegranate dotted stripe and the Sea Glass small banner. The arrow is retired CTMH Washi tape. I sponged Glacier ink over the background words to give it just a hint of color and set it apart from the sentiment area. The chef was colored with Copic markers BG0000, BG10, C3, C00, E21, E000, E57, RV69, and RV39. He was cut using the coordinating die cuts from MFT for "Recipe for Happiness." To get the multicolored sentiment, I masked off everything but "Bake" with tape, stamped it in Pomegranate ink, removed the tape, and carefully stamped the remaining words in Black. Fairly easy to do, and it gives a subtle highlight to the play on words. The sentiment is from the MFT set "You Bake Me Happy." The inside sentiment, from the same set, says "I Mix You." So fun! Time to return to my day job. 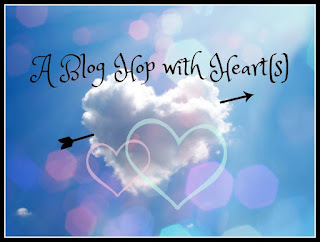 The Blog Hops with Heart gals are back with a bunch of great projects centered around HEARTS! You should have come from Katy's blog, but don't worry if you started here first. The hop is a circle, so you can go from here and see everyone's. I'll give you the link to the next blogger in a moment. I used the CTMH Artistry Cricut Cartridge to cut both the center heart and quatrefoil background. I weaved the Sea Glass Washi tape through the background before backing the whole opening area with Sugar Rush paper. Using the piercing tool, I created holes for the ombre embroidery thread (which is the only non-CTMH part of this card). The number on the thread is 123. I bought it years and years ago, so I'm not sure DMC still sells it. To create a triangle of accents with my bow, I added white enamel dots to the top right of the heart and a small sentiment stamped in Pomegranate ink to the bottom right of the card. Since I have so many people to thank for hosting me this past month, I think I'm going to combine thank you cards with Valentine's Day cards. Can't say I'll be doing this one in multiple. All that threading is lovely, but it takes time...and I do have some writing deadlines to get to, after all! 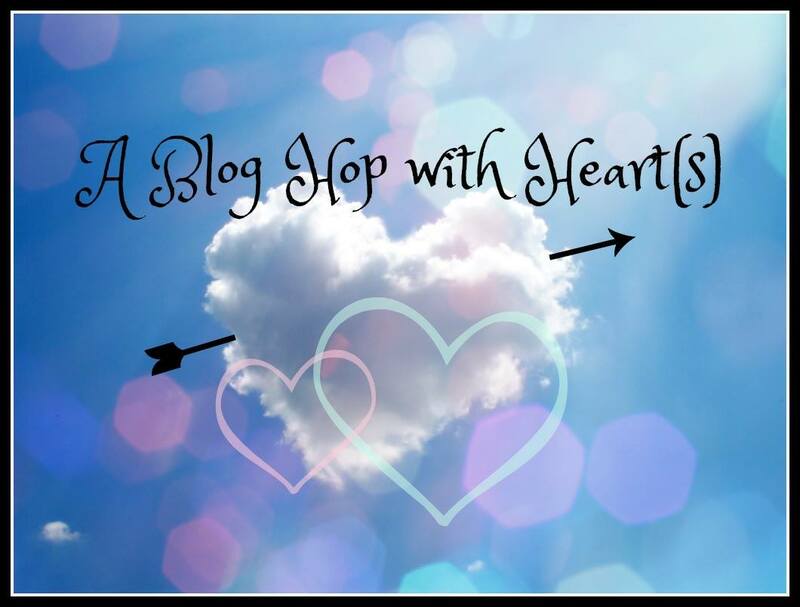 We have a great group of bloggers participating in this month's hop. Be sure to head to Wendy's blog and keep going until you complete the circle.